Rapper Fabolous performs during the 12th Annual Brooklyn Hip Hop Festival finale concert at Brooklyn Bridge Park on July 16, 2016 in New York City. Fabolous was charged with aggravated assault and making terroristic threats. 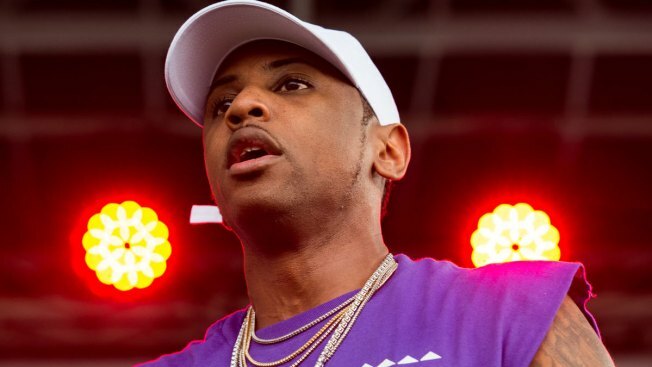 Rapper Fabolous is facing domestic violence charges in New Jersey. The rapper lives in Englewood with his girlfriend, Emily B, a former cast member on the "Love & Hip Hop: New York" reality show. Fabolous' agent did not respond Thursday to a message seeking comment on the charges.